Tom Baker reprises the role of the Fourth Doctor in the third of five thrilling brand new audio adventures, with Richard Franklin as Mike Yates. In Blandford, 1832, ringmaster Antonio exerts a strange influence on the townsfolk. When the Doctor steps into the ring, he discovers that Antonio has some familiar demons of his own. 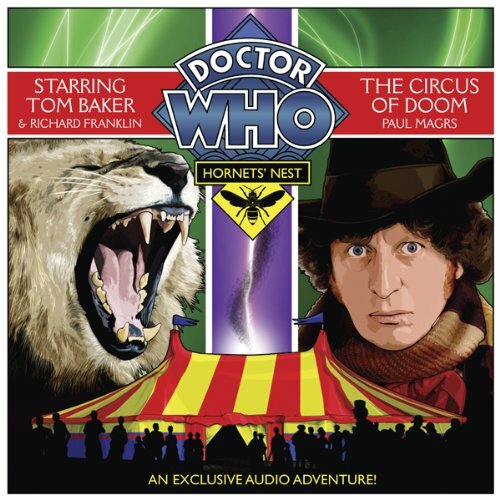 Written by the acclaimed Paul Magrs, The Circus of Doom also features Michael Maloney, Jilly Bond, Susie Riddell, and Stephen Thorne. If you could sum up Doctor Who in three words, what would they be? Would you recommend Doctor Who to your friends? Why or why not?